Established in 1981, the Shaker Schools Foundation was the first in the state to raise funds for a public school system.  Since then, we have raised nearly $6 million to support the tradition of excellence that sets the Shaker schools apart, including proceeds from our annual gala benefit, A Night for the Red & White. Since 1992, this gala event has raised more than $2.7 million for educational enrichment focusing on the arts, technology, health and fitness. This year money raised will go towards the Shaker Schools Foundation's Innovation Fund that focuses on STEAM initiatives which will provide enrichment opportunities for all Shaker students. A Night for the Red & White was launched in 1992 by a group of parents to raise money for technology enrichment in the Shaker schools. The inaugural event was slated to be held at the new Heinen’s Grocery Store at Shaker Towne Center, but when attendance topped 300 the benefit was moved to the Omni Hotel at to the Cleveland Clinic. The first Red & White raised approximately $42,220 for our students. Over the years, attendance is now more than 700 partygoers, and the event has been held at a variety of locations, including the TRW campus, the Cleveland Browns Stadium, the State Theatre, Landerhaven, the Tudor Arms Hotel, and the Cleveland Hilton Downtown.